We're not too big on drinking soda pop in our house. Not because we don't enjoy it, I love it when I get to have it, but because we like for our kids to drink water and sugar free juice instead we try not to buy it so much. On the occasion that we do buy pop, it's really when it goes on sale so that I can stock up when we have a barbecue or gathering with family and friends over. I love to give my guests options for beverages when they visit, I usually break out the Keurig or make a Sangria or Spritzers especially in the Summer and now thanks to Soda Stream I have another option to offer them. If you've never heard of Soda Stream, it's basically a way for you to make your own soda pop at home, which not only saves you money, but also helps the environment since you're not purchasing plastic bottles or cans. I've been wanting a Soda Stream for a while now, so I was super excited to try their Black Genesis Machine with a starter kit of 12 trial sized samples of different flavors. Not only was this super easy to put together and make, but the soda was delicious and tastes just like what you would buy in the stores. I think my favorite out of the 12 had to be the Orange Mango! It was absolutely delicious. And not only do they have different soda's, but now they also offer flavors from Crystal Light, Country Lemonade, Green Tea and for us adults, they have adult mixes for a limited time! This will be a great add to our Girls Night In, especially over the Summer while hanging outside in the backyard on the deck. I'm also really pumped to get to try their Crystal Light Flavors, I've already ordered a few for us so that we can have them over the Summer. 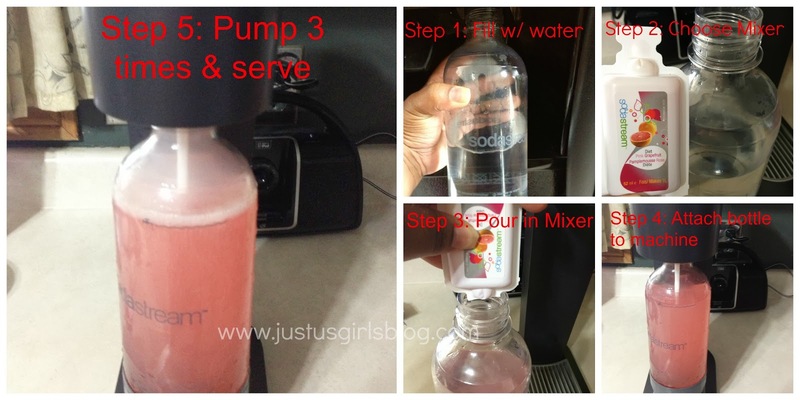 Soda Stream is definitely worth a try if you love to entertain guests and for those of you who find yourself buying tons of pop, this will definitely save you money! Disclosure: All opinions are my own. I received Soda Stream Genesis at no cost for the purpose of this review. No other compensation was received.